This week, we’ll look into a very common, but pretty bird from all around Turkey. 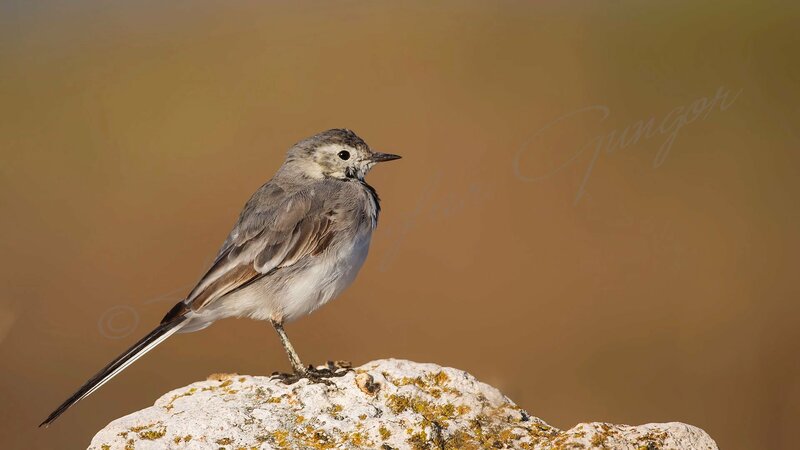 The White Wagtail (Motacilla alba) is a small passerine bird in the wagtail family Motacillidae, which also includes the pipits and longclaws. This species breeds in much of Europe and Asia and parts of north Africa. It is resident in the mildest parts of its range, but otherwise migrates to Africa. It has a toehold in Alaska as a scarce breeder. In the British Isles the darker sub-species the Pied Wagtail predominates. 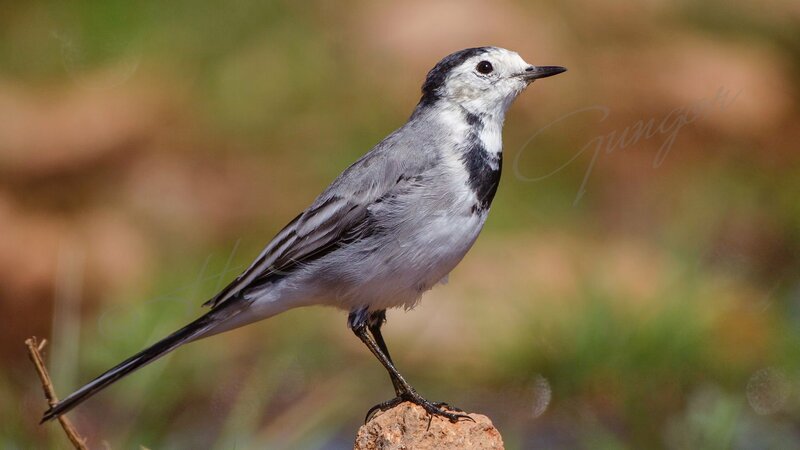 The White Wagtail is an insectivorous bird of open country, often near habitation and water. It prefers bare areas for feeding, where it can see and pursue its prey. In urban areas it has adapted to foraging on paved areas such as car parks. It nests in crevices in stone walls and similar natural and man-made structures. The call of the White Wagtail is a sharp chisick, slightly softer than the version given by the Pied Wagtail. The song is a pleasant twittering, more regular in White than Pied, but with little territorial significance, since the male uses a series of contact calls to attract the female. 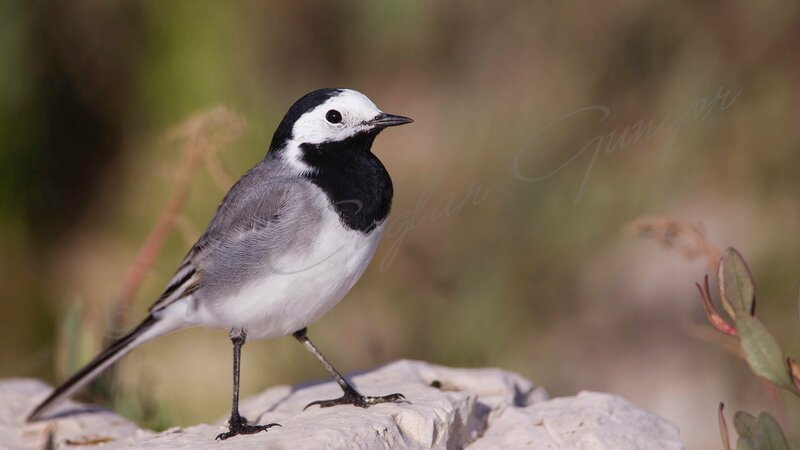 White Wagtails are monogamous and defend breeding territories. The breeding season for most is from April to August, with the season starting later further north. Both sexes are responsible for building the nest, with the male responsible for initiating the nest building and the female for finishing the process. For second broods in the subspecies personata the female alone builds the nest as the male is still provisioning the young. which is a rough cup assembled from twigs, grass, leaves and other plant matter. It is lined with soft materials, including animal hair. The nest is set into a crevice or hole; traditionally in a bank next to a river or ditch, but the species has also adapted to nesting in walls, bridges and buildings. One nest was found in the skull of a walrus. They species will nest in association with other animals, particularly where available the dams of beavers and also inside the nests of Golden Eagles. Around 3–8 eggs are laid, with the usual number being 4–6. Its eggs are cream-coloured, often with a faint bluish-green or turquoise tint, and heavily spotted with reddish brown; they measure, on average, 21×15 mm (0.83×0.59 inches). Both parents incubate the eggs, although the female generally does so for longer and incubates at night. The eggs begin to hatch after 12 days (sometimes as late as 16 days). Both parents feed the chicks until they fledge at around 14 days, and the chicks are fed for another week after fledging. Though it is known to be a host species for the Common Cuckoo, the White Wagtail typically deserts its nest if it has been parasitised. 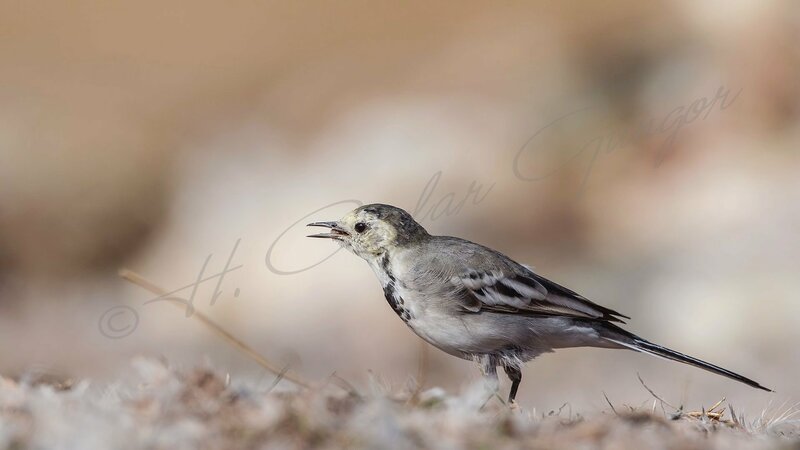 Scientists theorise that this occurs because the wagtail is too small to push the intruding egg out of the nest, and too short-billed to destroy the egg by puncturing it. That's all for today, see you next time. Cheers.